Off-licence chain Threshers is braced for an onslaught of bargain-hunting drinkers as an online discount voucher is downloaded by millions of people. 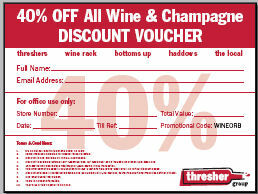 The 40%-off wine and champagne voucher was intended for suppliers and their friends, but has been distributed widely via blogs, email and chatrooms. Queues have formed at one store while the Threshers website has crashed under the strain of demand for the offer. “It was never intended to get this big,” a company spokesperson said. It made 1 o’clock BBC national news today. And the 10pm news on ITV as well. And Radio 2. 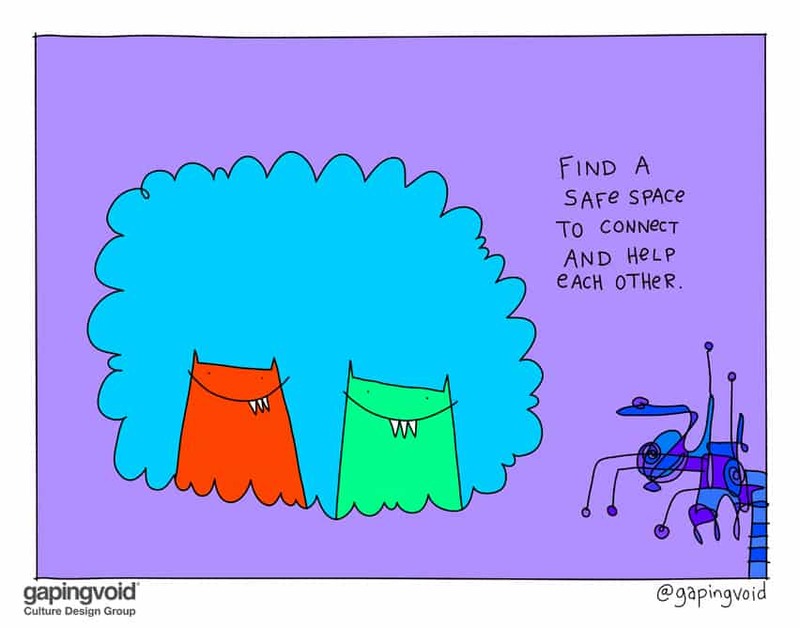 Thresher’s either love or hate gapingvoid by now. Not sure which one. Heh. I’m picking up a vibe in reports that you may be coming close to dropping off the bottom of their christmas card list anyway. Talk on one forum mentioned the entire custom in a store at that time were in possession of said coupon’s and one customer had just been in and taken it to the £500 limit. A big thank you to you on this one Hugh, and hope your “(1st annual?) Pissst as Newts” tour with Scoble has been a dooozy. Of course, it wasn’t Hugh that did this. Thresher’s did this. They provided an offer that people wanted to talk about. If they had provided a coupon for 10% off and Hugh had posted it here none of this would happen. 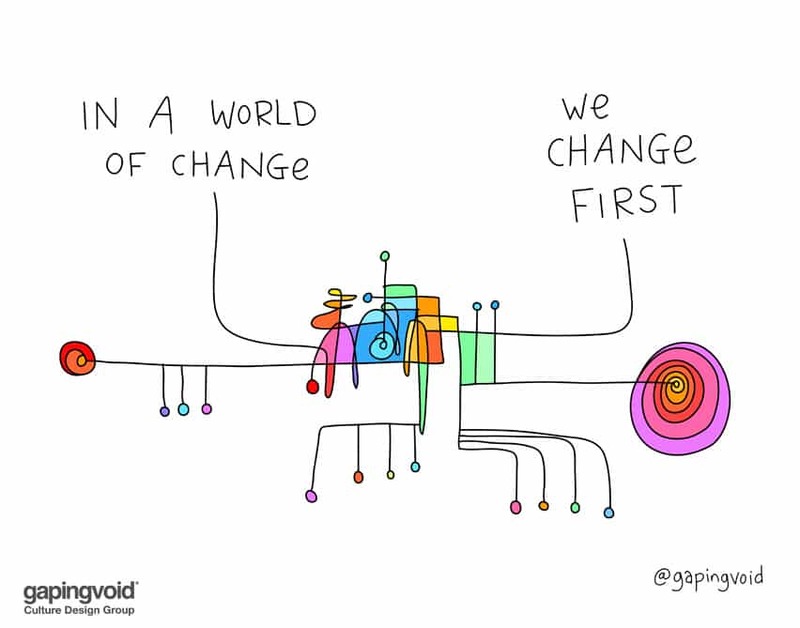 Gapingvoid didn’t do this. The marketing manager at Thresher’s did this. What they didn’t count on was that people are able to pass the word on much more easily these days. Instead of a guy in the pub remembering to tell half a dozen friends about an offer he’s seen, it’s one person with a multi-thousand audience. The game has changed. Word-of-mouth marketing was always the best in terms of performance, but since blogs came along they’ve just had a steroid injection. 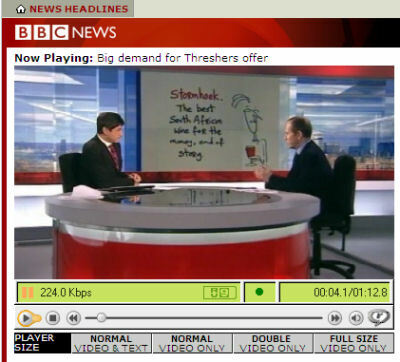 The cartoon looks perfect on the BBC screen! A sales person at a Threshers today said that they had done the same 40% off coupon last year with no substantial pick up…. What’s the difference between last year and this year? 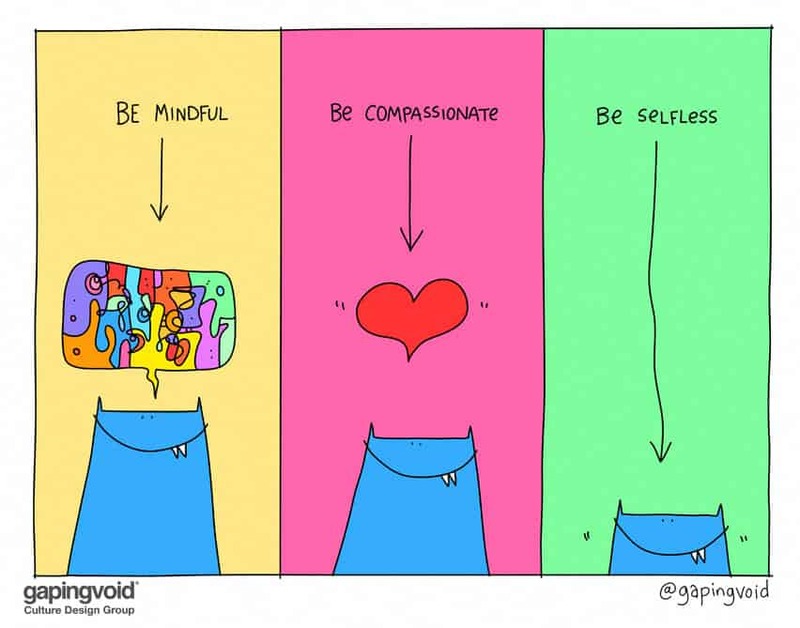 Might it be Gapingvoid.com and Stormhoek? It was also picked-up from hotukdeals.co.uk from the start; i believe that this helped the uptake too. It’s great to see Hugh’s cartoon on the BBC, indeed!! A local Starbucks posted a “warning” to customers at the counter… the Starbucks “friends and family” free drink coupon that had “inadvertently” been circulated widely by email was not going to be honored… sorry. t was also picked-up from hotukdeals.co.uk from the start; i believe that this helped the uptake too. It’s great to see Hugh’s cartoon on the BBC, indeed!! .